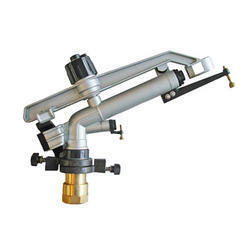 Providing you the best range of Dust control net and Dust control sprinkler system with effective & timely delivery. 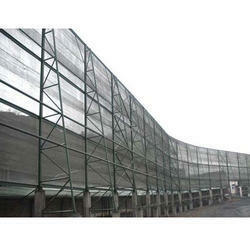 We are indulged in manufacturing, supplying and trading a wide gamut of Dust Control Nets. The nets we offer are extensively used in various applications such as in the construction of my filtration unit. Our logistics personnel make sure that the consignments are timely delivered at customers’ destinations using easy shipment modes. Water is used to help control dust during the excavation and processing of ore, on tailings and storage piles, and throughout the transportation process as water helps suppress dust that is airborne and also binds mineral dust to the ore’s surface. The dust created is usually controlled by the use of water trucks. Because water trucks have to move at a slow pace in order to deliver the appropriate amount of water to wet down the road, they can impede traffic, slowing up other trucks carrying more important cargo. The use of water trucks is considered by many in the mining industry to be one of the most inefficient ways to control dust. However, installing a Dust Control Sprinkler System with weather monitoring, centralized control, and proper water distribution components can be an effective and operationally efficient solution for using water to help control dust.